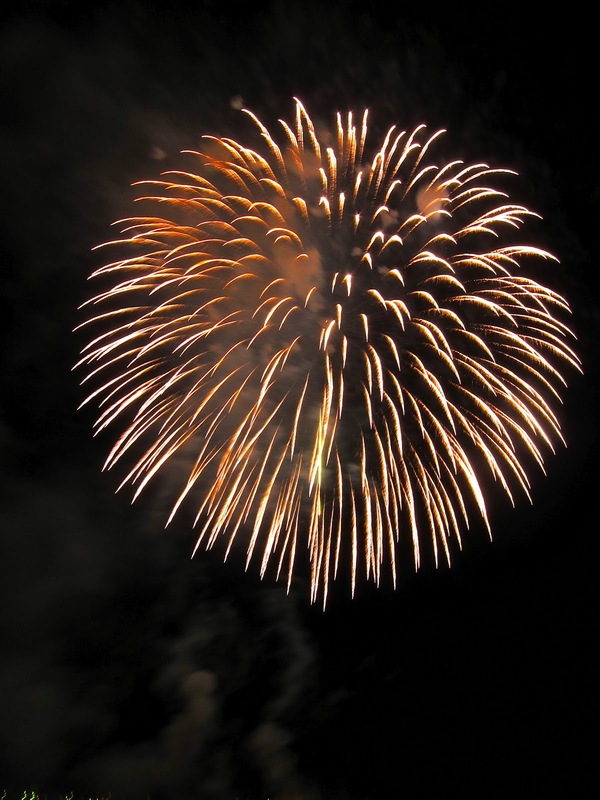 You can't have a Japanese summer without fireworks. And usually, in Tokyo, you cannot have fireworks without crowding, loooong lines in the train stations and standing about waiting. 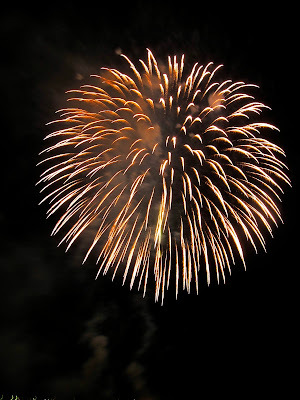 However, the all-knowing Wave-chan recommended a fireworks festival near her home, on the Seaside line. Showing up a mere hour before the start of the show, we were stunned to be able to saunter down the beach and get some space right by the water. I went to get takoyaki (managing not to drop them on my yukata) and only had to wait in line for a few minutes. Mind boggling. 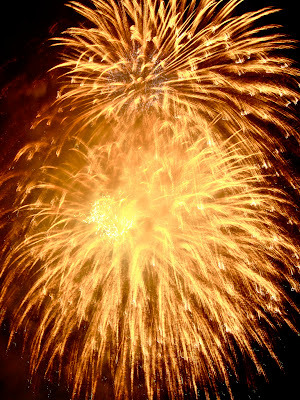 It is great to spend an hour with your eyes to the heavens, watching burst after burst of flame and colour. Although the heat of summer will not relinquish its grasp on the city for another month or so, the end of summer is nigh. As soon as September rolls around work will pick up, along with musical performances, the number of queries I receive on a daily basis, and other responsabilities. But for now we can sit in the cool sea breeze at night, running in the surf and laughing at ghost stories. That's in Tokyo?! o_0 Nice beach. Why isn't anybody swimming? Yup, the work tempo will start picking up this week. Ganbarimashou!